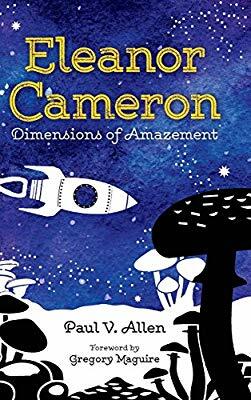 Paul V. Allen, the author of Eleanor Cameron: Dimensions of Amazement (2018), will discuss Cameron’s work as a children’s author of fantasy and science fiction. Allen’s presentation, “Eleanor Cameron: Wonderful Flights through Time and Space” will be the 2019 Lois Lenski Children’s Literature Lecture which is co-sponsored by the ISU English Department and Milner Library. The lecture will be at 7 p.m. Monday, March 25, in Stevenson Hall room 101, on the ISU campus and is free and open to the public. Eleanor Cameron was the genre-spanning children’s novelist and pioneering literary critic of children’s literature. In her distinguished five-decade career, she helped found Cricket Magazine, inspired Ursula Le Guin’s Earthsea series, and publicly feuded with Roald Dahl. In her collection of essays, The Green and Burning Tree: On the Writing and Enjoyment of Children’s Books (1969), Cameron argued that children’s literature was not separate in terms of excellence, “but a branch of the tree of all literature, sharing the same elements and the surge of life and artistry.” Allen, the author of the first biography of Cameron, will be discussing Cameron’s career and core beliefs about children’s literature as seen through the lens of her science fiction and fantasy novels, including the popular Mushroom Planet series (1954-67) and the National Book Award-winning The Court of the Stone Children (1973).